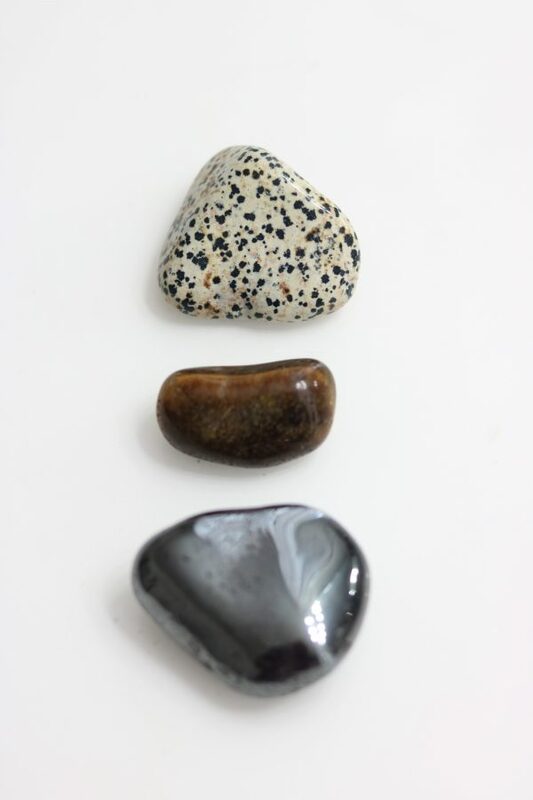 Second in our Crystal Trio sets is our grounding and harmonizing trio of Hematite, Dalmatian Jasper and Tiger’s Eye. Each trio is carefully curated to complement each other and its owner’s unique vibrations. 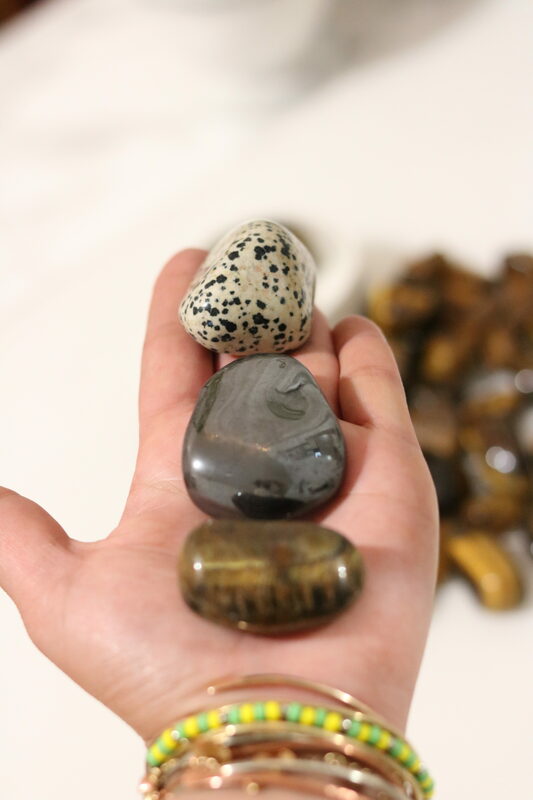 The sizes in this set are palm size stones which are ideal to hold during meditation, place on your altar or display in any space of creation and quiet contemplation. 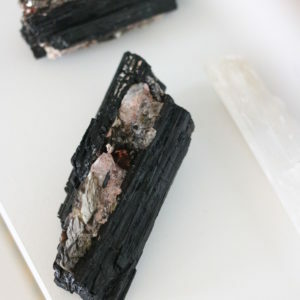 Hematite is the stone of balance, grounding and stability. It helps develop a sense of protection, security and clears energy of fear and doubt from the auric field. 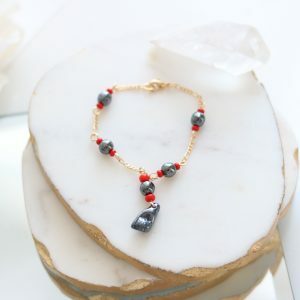 Hematite is a defensive stone as it blocks and repels negative energy from making its way into your energy field while at the same time transforming that energy. 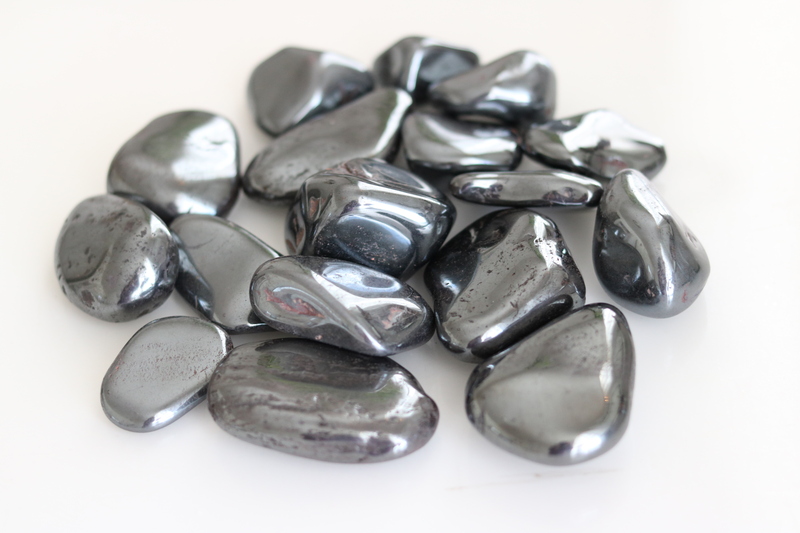 Hematite also helps with dealing with emotions and a great tool to help work through emotions of anger, fear, doubt, anxiety and depression. 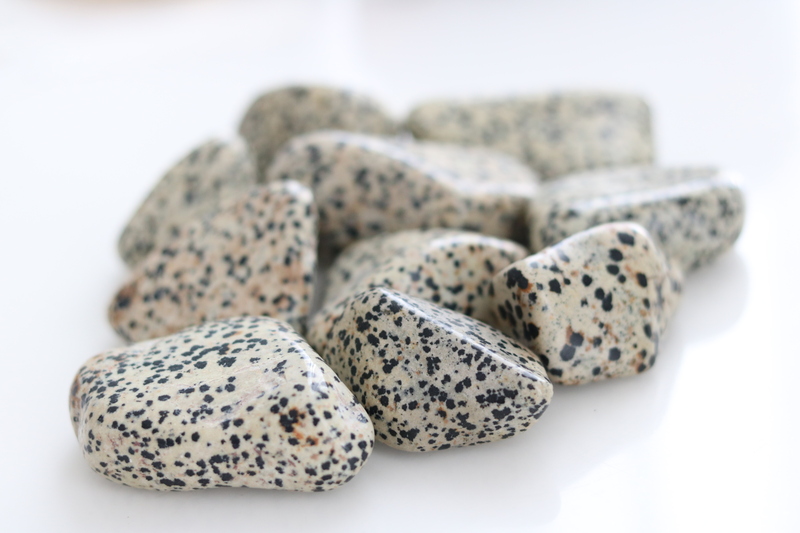 The perfect stone to have on hand to help focus the mind especially during studies and creative projects. Jasper in general is a very soothing & grounding stone. It promotes focus and balance allowing you to see the lessons in all situations clearly without self-criticism or judgement. Although Rose Quartz promotes love and passion within a relationship, Dalmatian Jasper builds on that foundation by promoting loyalty and sincerity in all of your life’s relationships be it romantic, friendship or business. 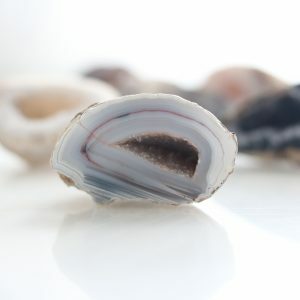 It is an ideal stone for the eternal introvert who may need to get out of their shells a little as it promotes happiness and expression of one’s true personality. Dalmatian Jasper is also a great stone to ward off depression, sadness, anxiety and loneliness. 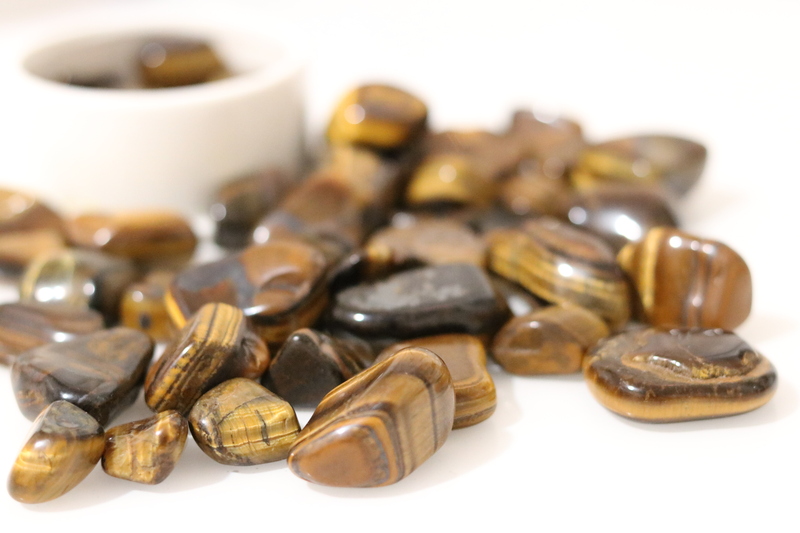 Tiger’s eye provides protection from self-sabotage and opens your mind to self-acceptance. I use tiger eye for creativity when writing or creating new ideas, especially when trying to block the self-doubt talk and criticism we often entertain in our own minds during the creative process. It’s a stone of fire energy and balances the masculine aspect of ourselves. 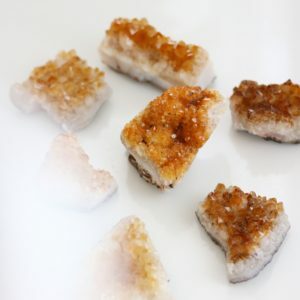 In combination with tourmaline these two pack a punch when charged for protective intentions, especially if you work or live in a fast paced environment where you’re exposed to all types of energies that more often than not attach themselves to you. Carry with you to attract money and maintain your money by repeating positive abundance affirmations. My favorite is “Money comes to me effortlessly”. “My dedication always pays off”. All of our Hell Notes for Beauty Products are cleansed with river or moon water, purified with incense, offered to the moon and stars overnight and lastly, dressed with herbs and crystals.